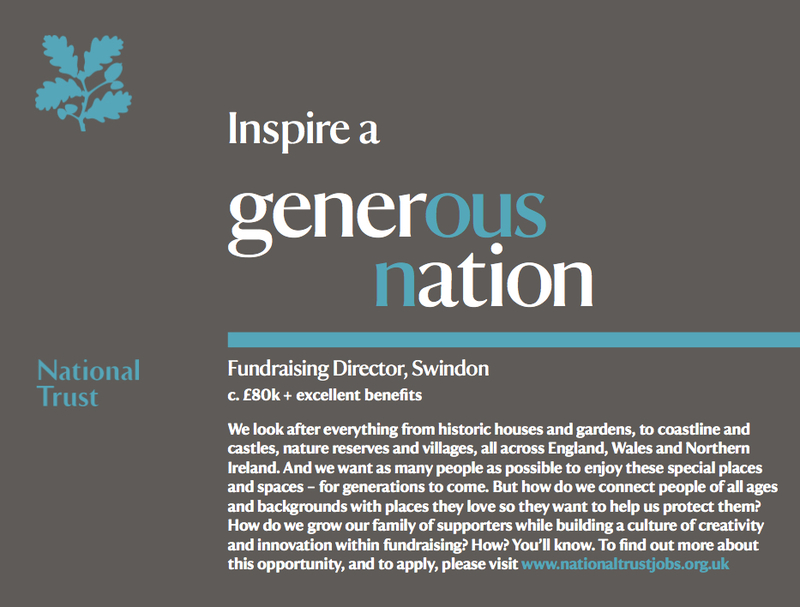 The National Trust needed to advertise for a Fundraising Director. I wrote this ad for a national paper and lo, the position was filled. I’d like to think these two facts are related.